Palace Games is hosting a special stand up comedy show in support of our dear friend and team member, Michael Conde, battling stage 4 jaw cancer. Many of our amazing game managers are talented comedians (regulars at Punchline, Cobb’s, and Sketchfest) and have generously agreed to put on a show to help raise funds for Michael’s medical expenses. For those of you that have had the pleasure of having Michael as your game manager in the Houdini Room, the Roosevelt Room or the Edison Room, you know what a special person he is. 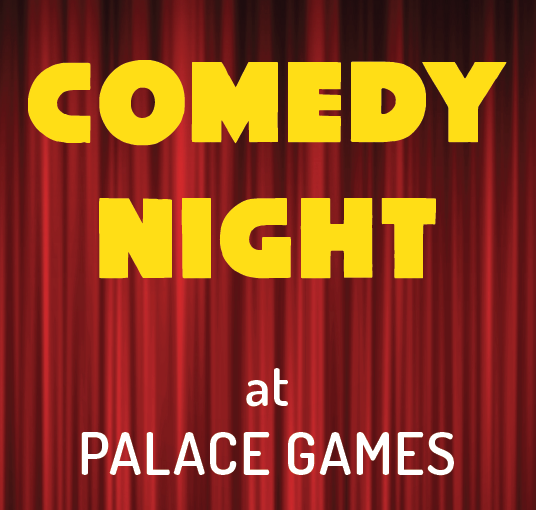 Please join us at the Palace of Fine Arts on November 27th at 7:30 PM to support Michael and enjoy some comedy from our hilarious game managers! When: November 27th, 2018 at 7:30 PM. Arrive at 7:15 PM. Price: $20 for general admission. $80 add-on available for premium seating (and premium generosity). ALL proceeds will go directly to Michael’s recovery fund. Age: This is an ADULT ONLY show. Content may not be suitable for younger guests. You can learn more about Michael’s story by visiting his GoFundMe campaign.